Tom’s working career began as a conditional jockey for the likes of Philip Hobbs and 15 times champion trainer Martin Pipe. Working with top class National Hunt thoroughbreds on a daily basis provided Tom with the foundations for an eye in thoroughbred selection. Tom race rode for 11 years, amassing a total of 70 winners, including five at Cheltenham. He also completed the Grand National twice, before hanging up his boots and going in search of a new venture. The time in which Tom spent working for trainers (including 15 time Champion trainer, Martin Pipe) and race riding taught Tom an awful lot about judging quality in a thoroughbred, and this proved to stand him in good stead for a career as a bloodstock agent as he was soon purchasing winners at the very top level. 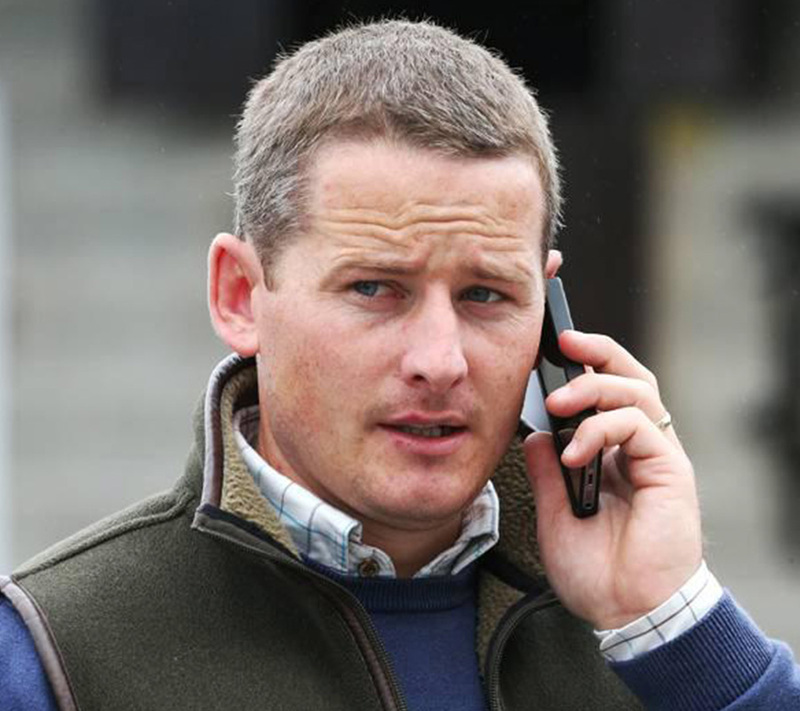 In the first year of trading as a bloodstock agent Tom’s purchases accumulated 37 winners and now, in the nine years since the inception of Tom Malone Bloodstock, there have been over 1900 winners including 77 Black Type winners, 10 Cheltenham Festival Successes, a Grand National and a Group 1 Royal Ascot winner. Milton Des Bieffes was the first horse that Tom ever purchased, who was sourced from the Irish point to point field for an owner called Nick Shutts. This horse went into training with David Evans and went on to win seven races, three of which he won on the bounce with Tom himself in the saddle. After this Tom started taking purchase orders from clients and has never looked back. Tom enjoys watching horses careers develop, he relishes in buying young horses from the point to point field and seeing them mature. This is where Tom came across some of his most successful National Hunt purchases to date, Brindisi Breeze, winner of the Grade 1 Albert Bartlett Novices’ Hurdle at the 2012 Cheltenham Festival and Native River, winner of the 2018, Grade 1, Cheltenham Gold Cup and One for Arthur who won his Irish maiden at the 5th time of asking before going on to win the Grand National four years later. On the flat Tom has enjoyed Group success with the likes of Caspar Netscher (German Guineas winner), My Dream Boat (Group 1 winner at Royal Ascot) and Levitate (Lincoln winner) on a relatively small budget. He also enjoys the challenge of buying three year old flat horses and watching them switch codes to a career over hurdles, such as Dodging Bullets, the Dubawi gelding bought out of a Sligo handicap who went on to become Champion Chaser in 2015, Irving who was purchased privately from Germany and went onto win the Grade 1 Fighting Fifth Hurdle twice and Mohaayed who was bought for £32,000, sold on this website to current connections and 2 years later won the County Hurdle at The Cheltenham Festival.